We have classic consoles and games and some new as well. Give us a call and we’ll let you know what we have if you’re looking for something specific! 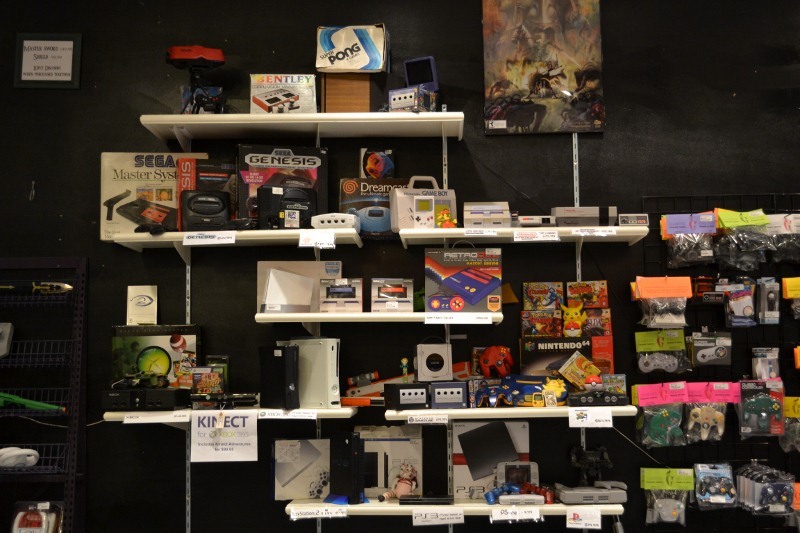 We carry games and consoles and accessories for the above as well as scrolls, jewelry, fan art, collectibles all related to gaming, anime…anything nerdy, really. If we don’t have it, we might know who does or where to get it and would love to help. Just call. What we don’t have is dice or cards. We suggest Wonko’s up north or Dragon’s Lair down central for that. Unfortunately, we do not have PC games….there just isn’t enough room! !